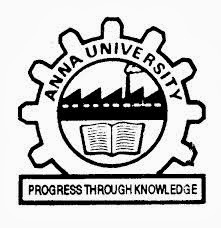 Anna university,Chennai invites applications for the PG admission Entrance test- TANCET 2014,to took M.E/M.Tech admission in different engineering colleges in Tamil Nadu.Other State candidates can appear for the entrance test, but the eligibility conditions will be fixed by the admitting authority / University. (1) REGISTRATION IN PERSON: Hall Tickets will be issued to the candidates who com e in person to the following Co-ordinating Centres w ith a copy of 10th Std. m ark sheet and 12th Std. m ark sheet ( or 3 years Diploma Certificate) and cash or Dem and Draft *(A single Dem and Draft is sufficient for one or m ore program m e) for the required amount tow ards entrance test fee. (2) REGISTRATION THROUGH INTERNET: The candidates can also register through internet by logging on to www.annauniv.edu/tancet 2014. The filled-in downloaded application along with the required demand draft* and photocopies of certificates should be sent so as to reach The Secretary, TANCET, Centre for Entrance Examinations, Anna University, Chennai – 600 025 on or before 20.02.2014, by 5.30 p.m . The hall tickets w ill be sent by post. The applications received after the due date and time will not be considered at any cost. *Drawn in favour of ` The Secretary, TANCET, Anna University, Chennai’ payable at Chennai, obtained from any Nationalised bank on or after 01.02.2014.